In recent years, proactive college and university leaders have begun investigating ways to update and upgrade campus retail. The goal? Lower student costs while boosting satisfaction and academic achievement with experiential retail environments. The rise of the smartphone, big data and eBooks has altered the collegiate retail industry irrevocably. This creates stress for institutions accustomed to accruing stable revenues from a traditional brick-and-mortar college store. Students are demanding more from retail. Ninety-eight percent of surveyed young people born after 1996 still shop in conventional stores, according to Retail Dive. But, 56 percent of this cohort, known as Gen Z, want brick-and-mortar stores to offer a “fun experience.” Over half of them also believe it’s essential for stores to have an omnichannel presence. They want to be able to shift easily between their smartphones, the internet and the brick-and-mortar store. In the past, college bookstores rarely had issues with revenue. 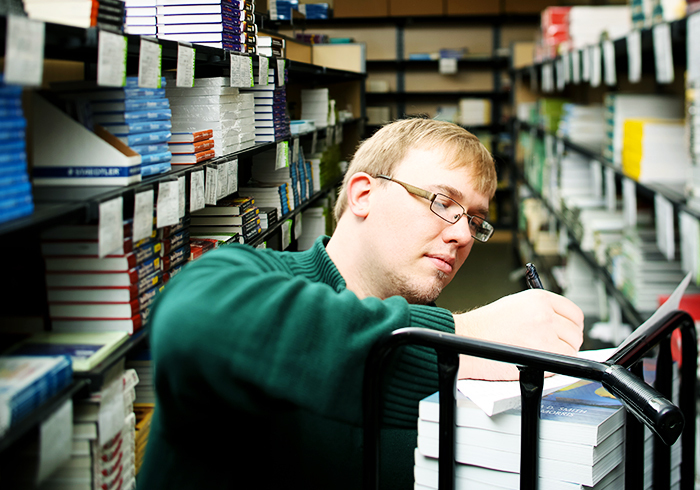 The campus store was often the only place students could buy their required course materials. Students simply had fewer choices. 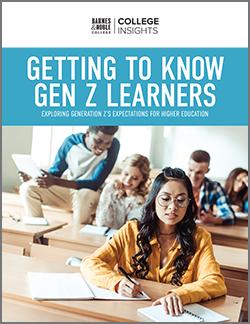 But Gen Z shoppers are likely to bypass a campus store with an old-fashioned set up: required materials stuffed into narrow aisles, where textbooks are stacked high under institutional fluorescent lights. These kids readily shop for better deals online. When this crowd visits a brick-and-mortar campus store, it doesn’t just want to shop. It wants a skillfully designed environment that integrates social life, study and entertainment into an atmospheric retail space. It wants experiential campus retail. 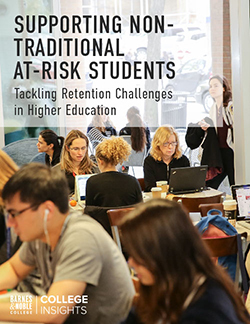 Proactive campus leaders recognize that retail upgrades are a way to help secure the future of their institutions without sacrificing student achievement and satisfaction. Executives at schools like the University of Kentucky have pursued public-private partnerships that transform their campus stores into experiential retail sites and places where students want to meet and study. This, in turn, stabilizes revenues. A variety of customized collegiate retail options allow college financial leaders to meet conflicting demands. Some leaders at schools with large online, nontraditional or commuter populations have found that shifting to an entirely virtual solution for collegiate retail has the most promise. The virtual solution allows students to purchase books and general merchandise wherever they happen to be, and provides them with 24/7 access to course materials. That’s a major convenience for those whose jobs and families keep them off campus much of the time. Other schools have found optimal solution in a customized retail solution. They provide an experiential retail space for items like school supplies, gifts and logo-wear, while establishing a virtual bookstore for textbooks. This offers the school’s Gen Z students (and their parents) with convenience they’ve come to expect along with a brick-and-mortar retail experience. It also allows schools to boost foot-traffic to the campus site with in-store pick-up tied to the virtual bookstore. Finally, some schools opt for an updated full-service student retail environment with textbooks, branded logo-wear, supplies, trade books and more. The University of Kentucky has transformed its bookstore into a thriving campus hub that draws students, alumi, sports fans and community members. The new UK bookstore has omnichannel access, escalators, a busy coffee shop, a place to meet and study – and price-matching for bargain-conscious shoppers. It offers Kentucky’s Gen Z students everything they look for in a retail environment. Students can also purchase the course materials they need for achievement from a reputable source, while knowing they are receiving the best price available. When students have their textbooks on time, achievement increases. If a retail environment — whether virtual, brick-and-mortar or a customized combination of the two — exceeds consumer expectations, its revenues stabilize. When collegiate financial leaders address campus retail successfully, they face the future with more confidence.